How To Update My Account? What information do I need to order contact lenses online? 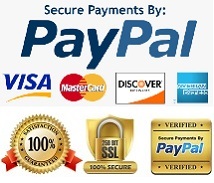 What types of payment does contactlensxchange accept? What can I do if I have a problem with my order? What is Circle contact Lens? Where is GEO Lenses manufactuered? Is GEO lenses comfortable to wear? How long does GEO lenses last? How do I know if the GEO lenses sold is genuine? Do you offer visual correction for GEO lenses? Do GEO colour lenses fade over time? Your Contactlens Xchange Account offers convenient access to all of the online resources available to our customers, including updated Order Status information, Order History, Convenient Reorder service, and Reminder emails. Your Contactlens Xchange Account gives you flexible access to our entire system, and all you have to do is sign up. Your Account will be active immediately. If you have any problems you can contact our Customer Service Department for more information. Contactlens Xchange Accounts are designed to be easy to use and update. You can follow the procedures below in order to update your Address (either Shipping or Billing), reminder email settings, and newsletter preferences. Once your information has been update you can click ’Update’ to save your changes. If you still have a problem, please contact our Customer Service Department directly for further assistance. Contactlens Xchange guarantees that you will receive the exact brand / model of contact lens that you have personally selected. Each prescription will be verified by our Quality Control team and then shipped sealed in the manufacturer’s sterile packaging and free of all manufacturer defects. However, problems can occur. If there are any problems with your order when you receive it, contact our Customer Service Department immediately. Contactlens Xchange is determined to offer you the finest customer service, and our customer service representatives will assist you in arranging a return and doing whatever it takes to make things right. Our online transactions are extremely safe as our system uses SSL (Secure Sockets Layer) - the industry standard for encryption technology. Beyond that, as long as your browser and local network are set to support encrypted data transmissions we offer a Secure Checkout mode that locks all information (credit card number, name, address) that is passed from you to contactlens Xchange in an encrypted packet, making it extremely difficult to intercept. SSL technology is compatible with most browsers, including: Internet Explorer, Netscape, AOL, Web TV. All charges will only be applied once your order has been processed and shipped. Your contactlens Xchange Account allows you to track all of your orders. Once you login to your account there is an Order Status page which is automatically updated with the current status of all your orders. The page displays each order (past and present) with the Date Ordered, its Order Number, the Shipping Address, and the amount spent. The final column, reveals the status of that order. Most of these status levels are self explanatory, but there are detailed descriptions of each status level below. New - Your Order is received. Processing - Your order has been downloaded to our warehouse system and is now being check, verifies & prepared for shipment. Order Returned - Your order will appear as Returned if you have completed the Returns and Exchange process. If you have any further problems please contact our Customer Service Department for additional assistance. Contactlens Xchange guarantees that you will receive the exact contact lenses that you have been prescribed. Each prescription will be verified by our Quality Control team and then shipped sealed in the manufacturer’s sterile packaging and free of all manufacturer defects. Contactlens Xchange guarantees that you will receive the exact contact lenses that you have been prescribed. Each prescription will be verified and checked and then shipped sealed in the manufacturer’s sterile packaging and free of all manufacturer defects. However, problems can occur. If there are any problems with your order when you receive it, contact our Customer Service Department immediately. Contactlens Xchange is determined to offer you the finest customer service, and our customer service representatives will assist you in arranging a return and doing whatever it takes to make things right. 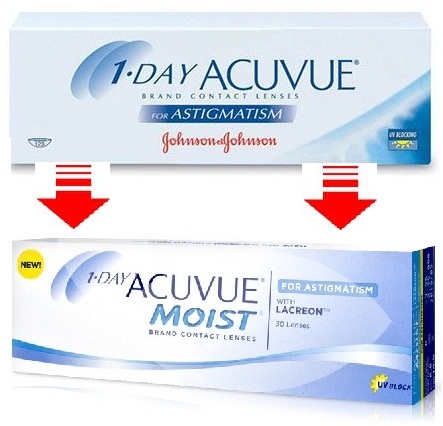 Contactlens Xchange works hard to make sure that you are satisfied and understands that mistakes do happen. You may cancel an order at anytime before it has been shipped if you decide that you do not wish to complete the order (or any portion of it). Unfortunately, once your order has been shipped we are no longer able to cancel your order. If an order has already been shipped and you discover a problem you will need to refer to our Return policy in order to make any changes. Once there you will see a record of all your orders with contactlens Xchange and beside each will be recorded an Order Status. Your order is currently being processed in our Warehouse. Contact our Customer Service Department to cancel your order. At this stage your order has left our warehouse and is on its way to you. Your Order can no longer be cancelled. If you still have a problem with your order please refer to our Returns and Exchanges Policy for information on how to return or exchange products. *Any claims of defective lens or wrongly send lens must be verified by photo/ picture and with other relevant document indicated by our customer service. Obtain a RMA (Return Merchandise Authorization) Number by contacting our Customer Service Department. All returned merchandise MUST be accompanied by an RMA number or it will not be processed. Print and fill out a Returns Form. You must mail the Returns Form along with a copy of the original Packing Slip with your return in order to receive credit. 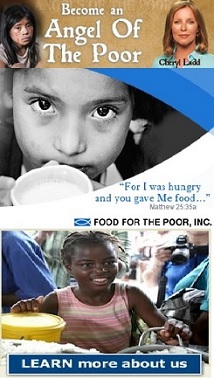 If you do not have access to either of these forms, you can attach a note to your order. This note must include your name, the order number, and the items you are returning (including the reason for their return) in order to be processed. Re-pack only unopened and sealed contact lens vials or boxes for return. Note : Our Company Contact address is not the warehouse address for return ! We recommend that you ship your return back to us via UPS or the US Postal service( USA Customers ) with insured service for your protection. We cannot assume responsibility for misdirected, damaged, or lost packages and insured shipping protects you in case your package is lost or damaged in transit. Custom Lenses, Multifocal lenses including novelty and made-to-order lenses, cannot be canceled, returned, or exchanged. Discontinued Lenses & toric lenses including Multifocal lenses cannot be canceled, returned, or exchanged. 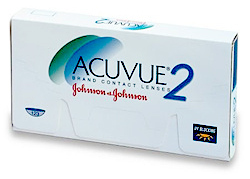 Contact lenses are an FDA-regulated product, and classified as a Class III device (21 CFR 886.5925). As such, federal law prohibits us from accepting any opened products for return or exchange, unless a product defect exists, it’s illegal for us to reuse or resell them. A US$2.50 fee will apply to each return / refund processed. Please be sure that your Packing Slip and the Returns Form are inside the package you are returning. Your return may take longer to be processed if the Returns Form or the Packing Slip are missing from the package. Any claims of defective lens or wrongly send lens must be verified by photo/ picture and with other relevant document indicated by our customer service. It can take up to 6 weeks to complete the processing of your return (i.e., you send us the package, we credit you for your return, your credit card company reflects your credit, etc.). In the case of returns sent from APO/FPO addresses, the military and US Postal Service handles delivery, so we are unable to estimate the shipping time back to us. Usually these returns take a little longer than normal, so please be patient. 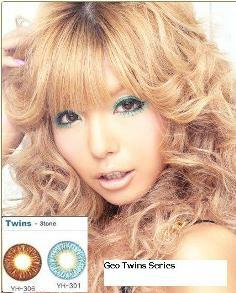 GEO lenses is one of the world's leading and best selling brand of circle contact lenses in Asia. It is approved & certified by KFDA (Korean Food & Drugs Administration), MHLW (Japan Ministry of Health, Labour and Welfare), ISO (International Standard Organisation) , US FDA 510 ( K ) & CE (Conformité Européenne - Europe). What is circle contact lenses? Circle Contact Lenses, also commonly known as big eye Circle Contact Lens, is a special contact lens that when placed in the eye. It makes the iris appear larger in size; this product was originally invented in South Korea. Where is GEO lenses manufactured? 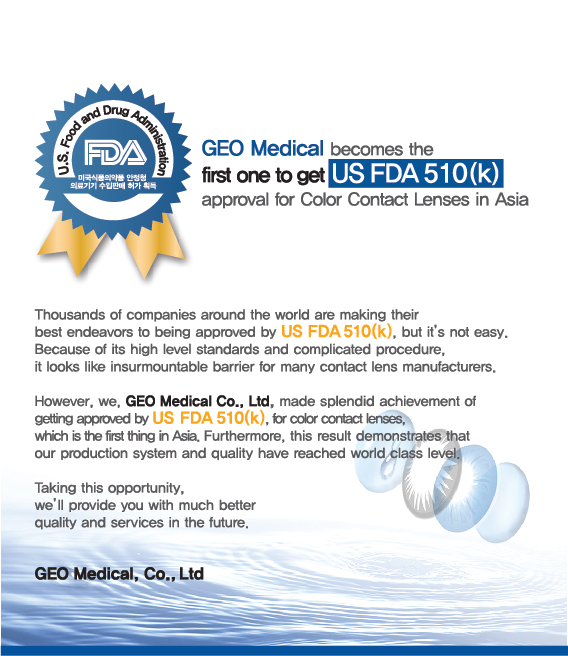 GEO Medical Co. Ltd in Korea. It is currently growing as leading venture enterprise specialized in bio-engineering research and manufacturing of contact lenses. It has steadily built up quality control based productie facilities and adopted new technologies for its ever expanding customer base. 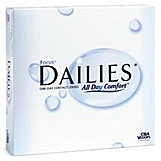 With one of the highest water content at 38-42%, GEO lenses gives maximum comfort for your eyes throughout the day. GEO lens are also very natural looking and beautiful. This is the reason why more than 1,000,000 girls had purchased and wear them and are all loving it. GEO lenses last up to a year with proper care but we will suggest that you change it every 6-8 months as fresh , new contact lens are always better and safer for the wearer. Our recommendation : Change it every 6 months if you wear them often. Change it every 8 months if you don't wear them as often. Always use Your lens with care and Use it Wisely & Responsibly ! To prevent the distribution of fake GEO lenses around, GEO has launched a website to check its authenticity with its unique code. Click here! Yes. 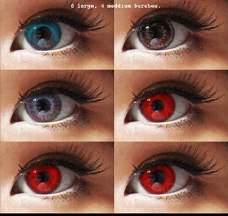 They are the same as regular contact lenses. First time wearer may find their vision a bit blurry with GEO lenses but it will be fine after a few useage. Always check your prescription with your optician as we do not take responsibility if you order a lens that has not been prescribed for you. Do colour lenses fade over time? No, the colour does not fade.